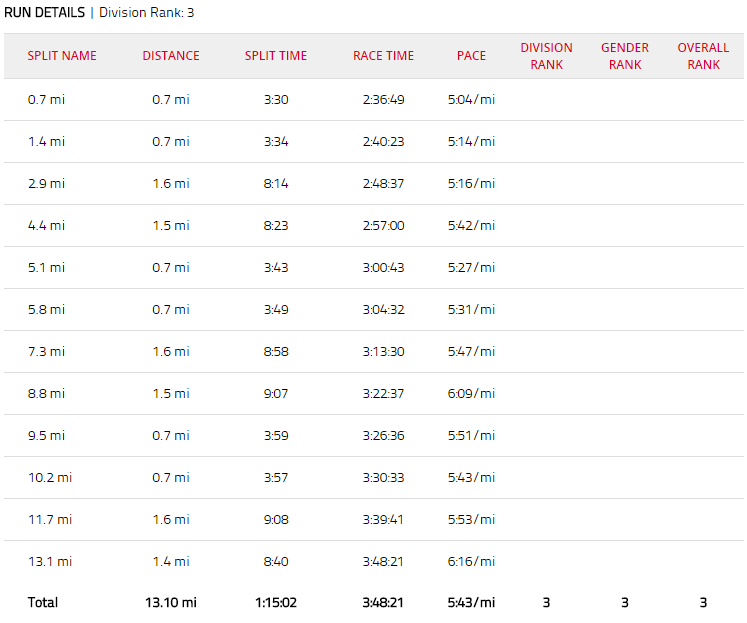 Attempting my second 70.3 in seven days was uncharted territory. In theory, back-to-back races seemed efficient: one build, one taper and one flight for two opportunities to test myself against world-class competition. Physically, I was unsure how my body would respond. In the past, I wasn’t exactly the poster boy for healthy, resilient endurance athletes. But my coaches were confident enough that I was up for the challenge this year. Psychologically, I also had my doubts. 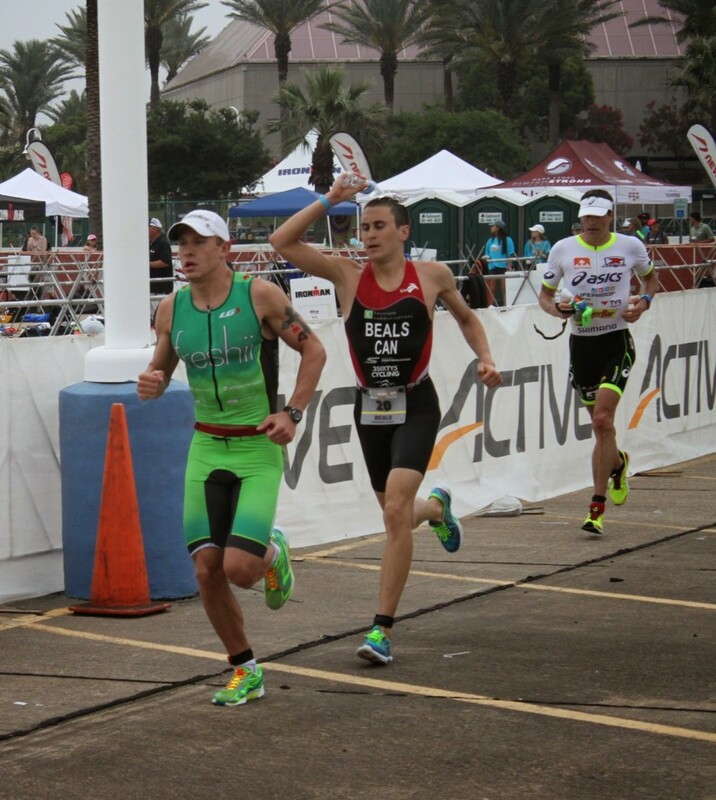 Taking 4th at New Orleans 70.3 the week before had required a personal best mental effort on a day when nothing felt good—not a single minute for four hours. At the finish, I was so emotionally spent that I stumbled over to a private spot and cried a little for the first time in many years. I wondered if such a struggle was simply the harsh reality of racing at your limit. I wondered if I could do it all again a mere seven days later. 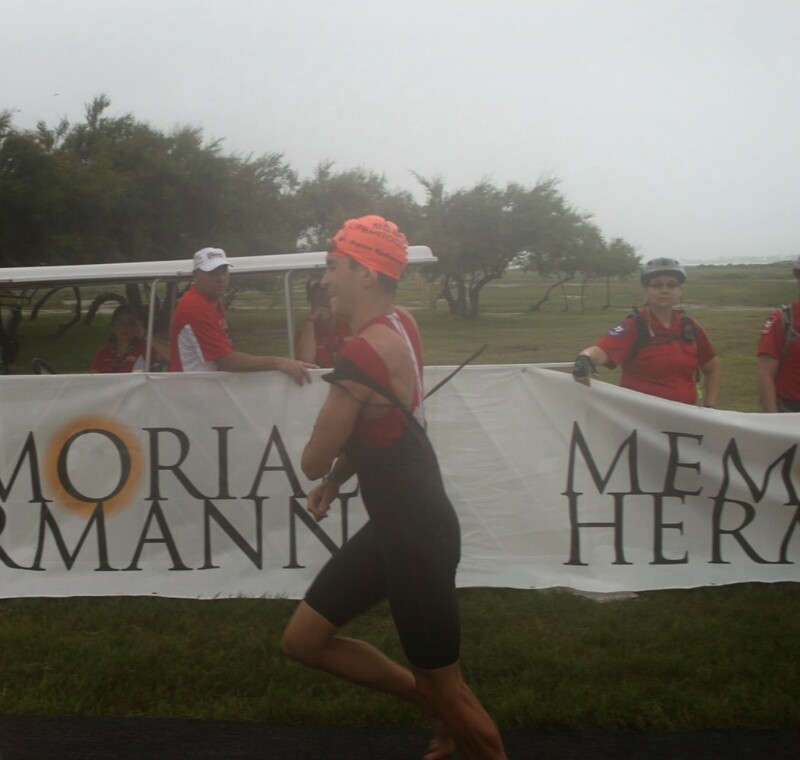 Thankfully, Texas 70.3 proved to be a very different experience. As I found myself running shoulder to shoulder with Lionel Sanders and Andy Potts, I recaptured a feeling that I had not experienced since leading on the bike at Muskoka 70.3 last September: pure flow; when pain fades away, time dilates and there’s nowhere else on earth you’d rather be, nothing you’d rather be doing than savouring the present. I race for moments like that. I was struck by how well Lionel Sanders’ race report described my own experience and recommend reading his account of the race. 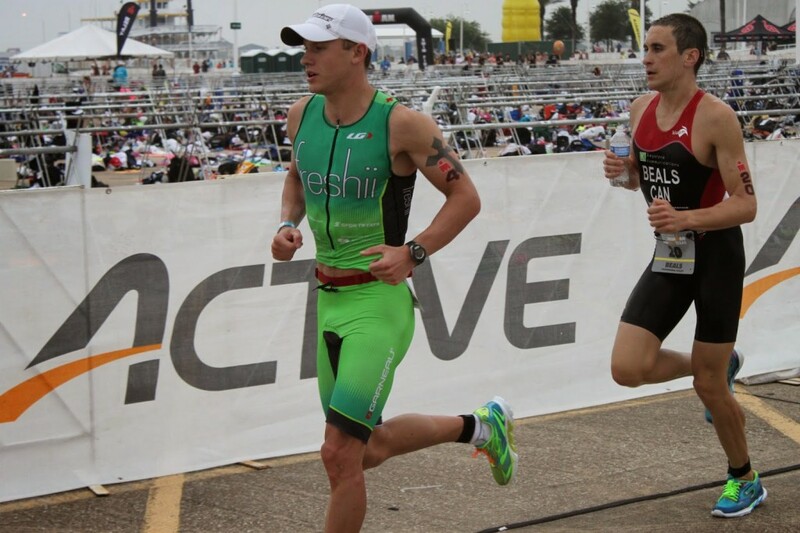 In the end, I hung on for third behind Sanders and Potts, two of the top 70.3 athletes (full results). Read on to find out how the race unfolded. 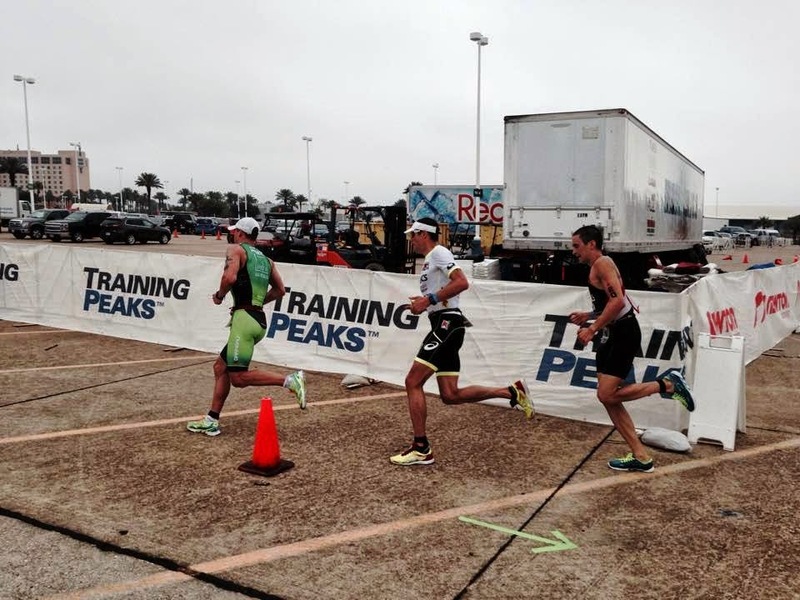 The week before the race was a balancing act between recovering from New Orleans 70.3 and staying sharp for Texas 70.3. Too much rest would risk feeling flat, but too little could be even more damaging. My recovery started minutes after finishing New Orleans 70.3 with a sports drink, ice bath and IV. Over the following days, I double-napped, doubled my grocery bill with quality food and got some extra help from Klean Athlete. I don’t tend to check start lists, since I find that helps avoid preconceiving how I stack up, especially with my limited pro race experience. I couldn’t help but notice veterans like Andy Potts, Greg Bennett and Richie Cunningham at the pro briefing—who probably each have more pro wins than years I’ve been alive—not to mention up-and-comers like Sanders. The growing depth of long course talent and the consolidation of Ironman pro races has made for increasingly competitive races. I knew that the pro field included some stellar swimmers like Potts and my teammate Balazs Csoke. I lined up right in the thick of things, hoping to catch a good draft. At the start, the front pack slipped away, but I fell in with another small pack. Unlike the week before, the swim was very comfortable, a little too cruisy in fact, as I began to worry that I was in the wrong pack. Exiting the water, I was relieved to find myself in a chase pack with Cunningham and Pedro Gomes, just over two minutes down on the leaders. This wasn’t disappointing for my first non-wetsuit swim (in my Nineteen Rogue SS), but it’s still an unacceptable weakness that I’ll continue to address. Based on my usual pre-race modeling with Best Bike Split, I was confident that I could ride a ~2:02 split with a reasonable power goal. Unlike the week before, the watts came easily and I began to reel in athletes up the road. I have learned to pass aggressively to discourage anyone from hanging on, but it is very difficult to drop other pros on a flat course. Despite a few surges, I ended up towing a few others legally spaced out at 12m intervals behind me (with an ever-present official keeping everyone honest). I caught Bennett and Potts near the turnaround, establishing a pack of several guys. Knowing that Lionel Sanders was in hot pursuit, I tried to keep the pace on, but no one else seemed willing or able to work as hard. Unwilling to work alone at the front any longer, I decided to sit back in the pack. My power fell, the pace slowed and, as expected, Lionel caught us by around 75km. Having raced Lionel on many occasions, I’m well versed in his playbook. I have been on the receiving end of Sanders’ signature savage surge more than once. Sure enough, he blew past and it took peak power of nearly 700W to avoid losing contact. The pack of about six stretched to the breaking point, but even that wasn’t enough, and we reassembled. With nothing to gain from heroics on the bike, I hung behind Potts and Sanders, setting myself up for a battle on the run. 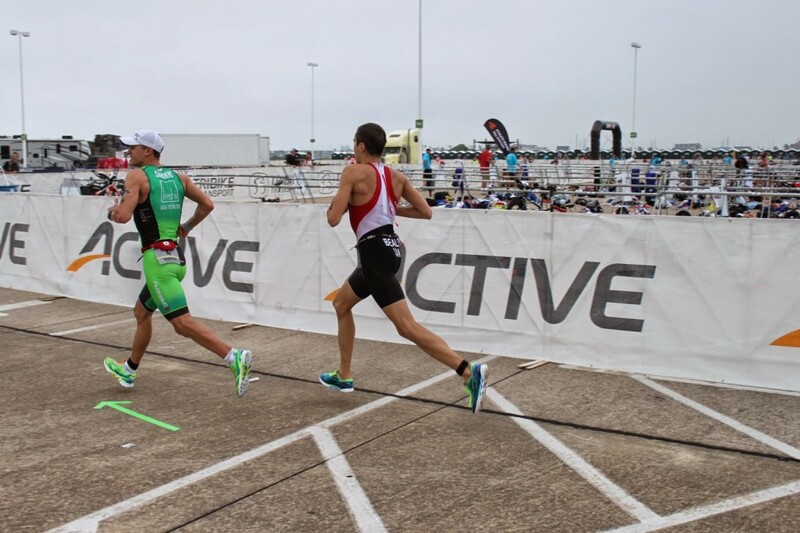 Entering transition, we were given a seemingly impossible time gap to the lone athlete ahead, Davide Giardini. He had built a 7 minute lead with a spectacular swim-bike combo. Sanders, Potts and I were out on the run course within seconds of each other. We ran in tight formation, jostling elbows and clipping heals on the course’s countless turns. I could tell that the pace was optimistic (sub-1:10), but I was deep in the zone. Lionel and I in our Skechers GOmeb Speed 3. … but the spell broke. After the first of three laps, I began to struggle as first Sanders, then Potts, gradually pulled away. I held it together, passing Giardini to move into third on the final lap. I crossed the finish line without disappointment, thrilled to rediscover such pleasure in racing. You can find coverage of the race on Slowtwitch, TRS Triathlon (video below, race report, podcast & photo gallery) and Ironman.com. Keystone Communications and Giles Atkinson for ongoing support and advice. My other sponsors: Skechers Canada, 3SIXTY5 Cycling, Vorgee Canada, Nineteen Wetsuits and CompuTrainer. Balazs Csoke for his help, advice and rides in the Balazs-mobile. All my friends in The Woodlands, Texas for welcoming me into their supportive, triathlon-crazy community. I’m now back at home in Ontario for a two month block leading into Ironman 70.3 Mont Tremblant. Thank you for following my progress!